The list goes on, however, OnFarm was distinctly created to solve these headaches. You log into our app via the web or mobile device where you have access to your weather, soil moisture, control, many other farm data all in one place. The other benefits can be found on our freemium account benefits page. 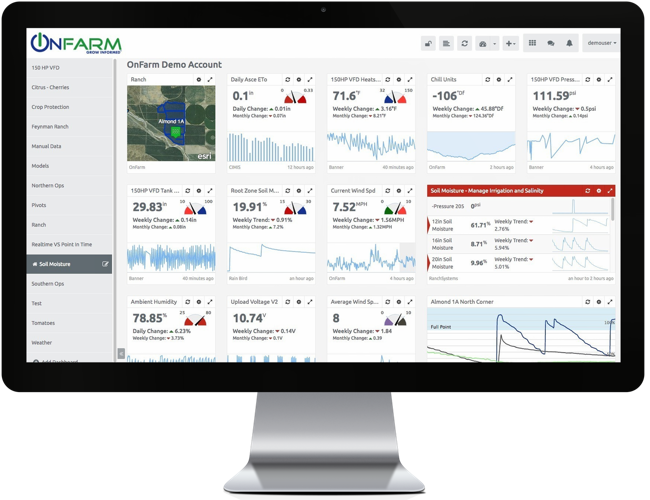 With a solution like OnFarm, you can stop checking your data all over the place. You can run reports and analyze your data directly through our app. 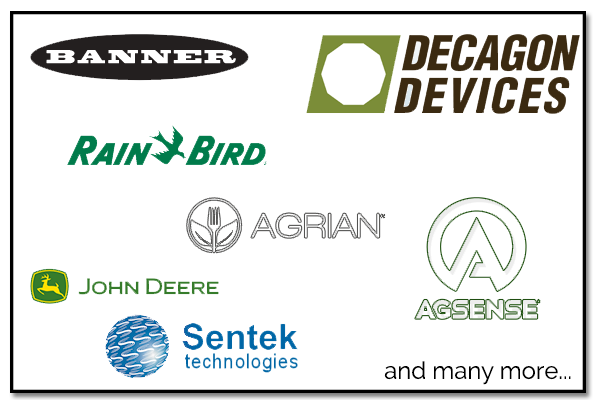 Once you’ve signed up for OnFarm, you can completely customize the way you organize your farm data. We have what we call dashboards which allow you to organize your data and create organizational hierarchies. Say you want to see all your data by field, you can make a dashboard for each field and then add just the data relevant to that field to that dashboard. Maybe you want to compare soil moisture levels across fields. You can set-up dashboards by functionality. Maybe you have multiple locations, you can set-up dashboard hierarchies to showcase the different regions. The options are literally endless because we want to meet your needs and want an app that runs the way you want to view your operation. Another customization and a really popular feature is our alerting. 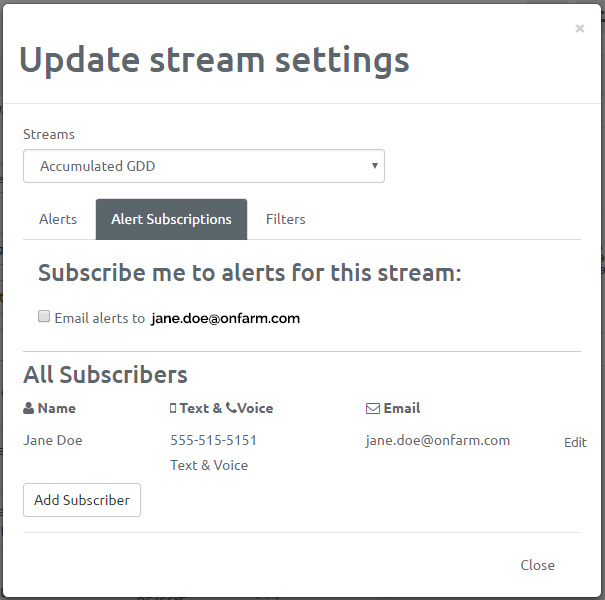 You can set low and high alerts for any of your farm data and receive text, voicemail, and/or email alerts when the low or high thresholds are met. This allows you a sense of security. Even when you’re not out in the farm, if a threshold is met, you will be notified immediately so you can then take action as needed. You can set alerts on as much of your data as needed and even add other people to the alert notifications even if they are not part of your OnFarm account. With our free account, we include email alerting. This is a great feature during those really important times in the year when you need to keep a close eye on your operation. Once you sign-up, we have many support resources available to you including guides and live webinars. Our set-up process takes only minutes and we have a team ready to help you throughout the process. Once you learn the basics, you’re good to go! Gain access to the best data management tool out there.